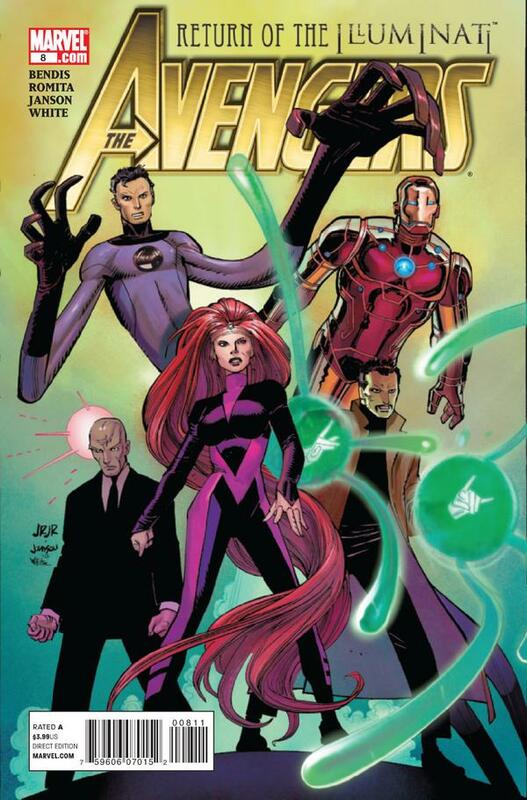 I hate that I have to say this, but John Romita, Jr.’s artwork just isn’t working for me on this series. I would consider myself a fan of his work, but I do not like the way this book looks. His run on Amazing Spider-Man with J. Michael Straczynski was awesome, but the work he’s done on team books is not anything I enjoy. It’s a shame too because many pages (particularly in the current Infinity Gauntlet story) have been dedicated to showcasing his art and don’t contain any text. I hope someone is digging them. I am excited about Chris Bachalo coming in for a few upcoming issues and I’ll be sure to get those. I stuck with the book through the first arc mainly because I love Kang and his involvement was enough to keep me invested. I even rented the Next Avengers DVD to learn more about the future timeline much of this storyline took place in, but what really impressed me were the seeds writer Brian Bendis was planting with Tony Stark and the upcoming Ultron War. His timeline of what’s to come for the Marvel Universe was epic and I’m continuing to give this a chance based mainly on how much I enjoyed Bendis’ Avengers titles leading up to Secret Invasion. He laid the groundwork for everything along way from New Avengers #1 and I liked seeing it pay off. He seems to be doing the same things here and I’ll stay on board for a little while at least to see how things progress. The return of The Illuminati helps too. While I’m enjoying larger storyline, there are some small details that have hurt the book in my eyes. During the first arc, Manhattan is being torn apart by time displaced antagonists. In the midst of the chaos, Hawkeye seems to panic and asks Maria Hill what the Avengers should do. This seems so incredibly out of character to me as Hawkeye has always been pretty sure of himself and if he weren’t I don’t think Maria Hill would be the person he’d turn to for guidance. Sure, she’s helping to run this team of Avengers, but it’s not like Hawkeye is good with authority figures either. On top of that, the Illuminati returned in the second arc and Xavier enters the room and immediately reads Tony Stark’s mind. I’ve read a lot of X-Men comics over the years and this is in no way a “habit” for the character. Even after all the failings that have been revealed in Xavier’s past, I just don’t see him violating a member of this groups’ mind that way. Also, I’m a little sick of the Hood and giving him the Infinity Gems after having the Norn Stones and before that the magical hood just seems like too much. I realize that his exposure to those exotic items is what’s allowing him to wield the Infinity Gems so deftly, but I guess I would have like to see someone else as the threat. Of course, this might just be because his final story in the previous volume of New Avengers just fell completely flat for me. I decided to drop this book on three separate occasions during its first ten issues and yet I still own every one. I honestly didn’t think I wanted to read about this team or its threats, but obviously I must. 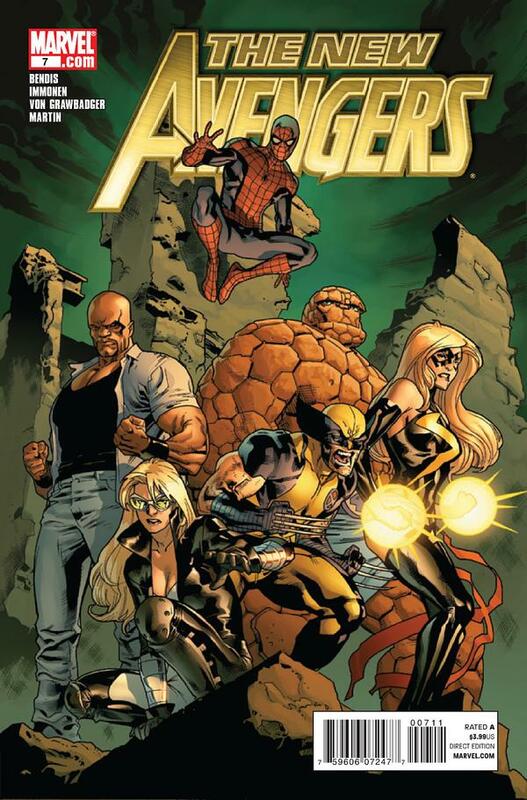 I didn’t like the inclusion of The Thing on the roster and Spider-Man and Wolverine serving double duty here and on the Avengers book didn’t sit well with me, but as a fan of Ms. Marvel I stuck around. I wasn’t crazy about the first arc and it’s focus on Marvel’s magic characters but the way it connected to Iron Fist really intrigued me. I’m not a big fan of Luke Cage and Jessica Jones, but something about the way their current situation was presented kept me coming back. I don’t think I like the idea of this 1950’s Avengers team that Nick Fury apparently put together, but I think I’m going to end up being wrong about that too. The thing that’s really kept me on board though has been Stuart Immonen’s artwork. If Avengers looked anywhere near as good as this it would be perfect. I wouldn’t necessarily seek out a book because Immonen was drawing it, but he’s absolutely a big part of why I continue to give this book a chance. From what I can tell though, he’s leaving (or already left) to take on Fear Itself and his replacement is Mike Deodato and I know he’s going to keep me coming back from more. 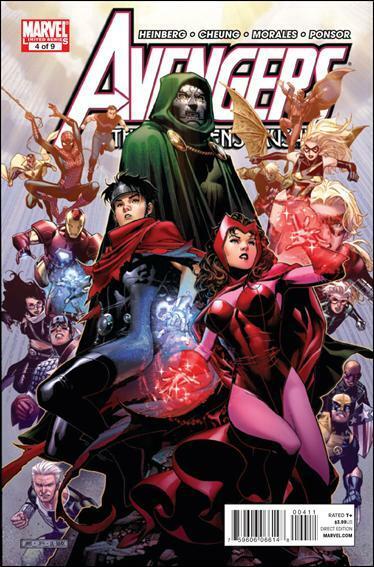 Many of the early issues of Avengers and New Avengers featured back up pages covering the Oral History of the Avengers penned by Brian Bendis. I didn’t read a single one in its entirety and didn’t like the way the chapters alternated between the two titles. I’m reading both of the books but not everyone is doing the same. At this week’s C2E2 convention, Bendis stated that these backups not only covered Avengers history, but also may inform future stories. I don’t know if that will get me to revisit them, but I have them all handy should the mood strike. I reviewed this series in some depth while the second arc featuring Shiang Chi, the Master of Kung Fu, was still ongoing. I don’t really care about that character or his status quo, but what really caught my interest was what’s happening with The Shadow Council and specifically John Steele. Reading Brubaker’s The Marvels Project introduced me to the character and his incorporation into modern continuity has me intrigued. I also love Mike Deodato’s artwork and I’ve enjoyed following him from Thunderbolts to Dark Avengers and on to Secret Avengers. Unfortunately, he’s leaving this title, but he’s moving to New Avengers so I’ll still be able to see his work every month. 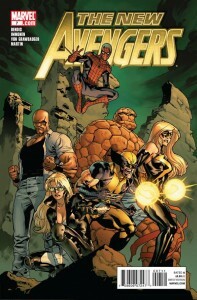 The downside is, I believe writer Ed Brubaker is off the book as well once Fear Itself begins. Nick Spencer will be writing the issues tying into that crossover, but no announcement has been made about what’s next. This makes me worry about the book’s future. It has the most appealing cast of the current line of books with Steve Rogers, Beast and Moon Knight and it’s definitely the Avengers title that I’m enjoying the most. In light of these changes though, my continuing with it is really in jeopardy. I have to wonder what the point of launching this title with Brubaker was in the first place. It seems reintroducing John Steele was the only ongoing point here and I imagine he’ll be showing up in Brubaker’s new Captain America #1 rather than in future issues of Secret Avengers. That relaunch is another decision I don’t understand after the return to the original numbering at issue #600. It lasted all of 19 issues. Pointless. Of the current Avengers titles, Avengers Academy is the one I hear praised the most by fans and critics alike. I’m still not reading it for the same reasons I’ve had since issue #1; I just don’t want to read about a whole new team of young heroes. I’m a fan of some the instructors that are responsible for these new recruits, but Marvel has gone to great lengths in recent years to reduce the number of characters they have at large and this seems to run counter to those efforts. The mutant community was cut down considerably in House of M and a lot was done to repurpose existing characters in during The Initiative. There are just too many still in limbo at this point for me to get invested in a new team all at once. It’s too bad really, the book certainly has its fans, there’s an interesting twist on how these characters came together and I fully trust Christos Gage to do great things. I just don’t see myself spending the time on this one. Editor’s Note: KevinMLD here, I can say with certainty that Avengers Academy is the hit of the Avengers relaunch following Siege despite PTB’s highly publicized claims to the contrary. While this book didn’t have “Avengers” in the title, it was a big part of the start of the Heroic Age. The series disappeared pretty quickly (6 issues) and seems to have merged with the recently launched Black Widow series to become Widowmaker. This was originally supposed to be a crossover, but it looks like both books are gone. These characters have their share of fans, but clearly they aren’t as popular as Avengers like Iron Man, Captain America and Thor, whose solo titles are going strong. 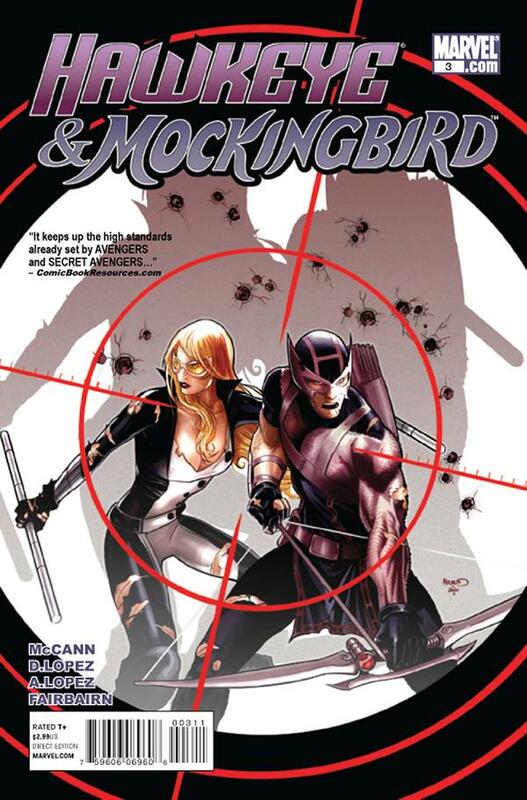 I was reading Hawkeye and Mockingbird and there was some interesting stuff going on, but it never seemed like something that was going to catch on, especially when you cold get Hawkeye and Mockingbird in New Avengers every month. This miniseries has honestly been great, particularly the introduction of Doctor Doom in The Scarlet Witch’s story at the end of issue #2. The series is a great follow up to House of M, and Allen Heinberg’s Young Avengers characters are always a lot of fun. Their original series worked so much better for me as a reader coming after Avengers Disassembled. 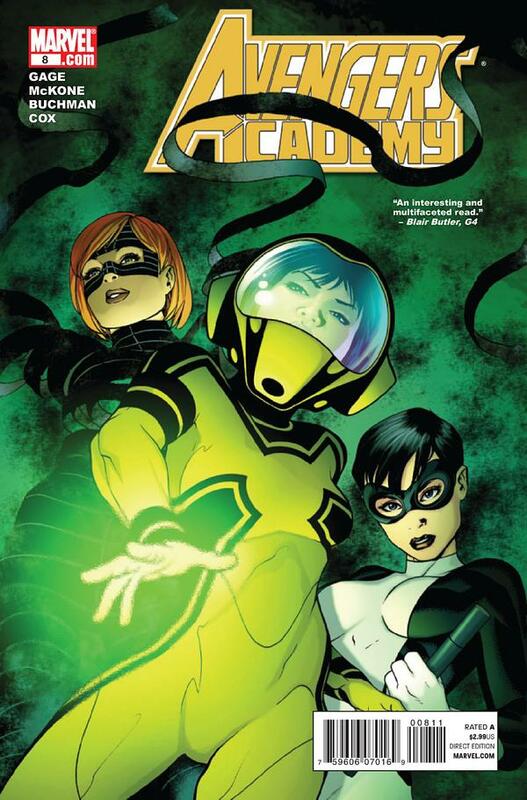 Even though it also introduced a team of new heroes, the timing and the context was just much more appealing to me than something like Avengers Academy. I do not like the bi-monthly shipping schedule, and the ambiguous timeline the series plays out in (Marvel is really just trying to keep Rogers’ return as Captain America a secret, and personally I don’t even want that). 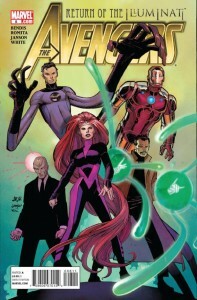 I do really enjoy Jim Cheung’s artwork on the book and I am genuinely excited to see it when it’s on the shelf. The Avengers franchise is in a decent place right now even if it might not seem that way from some of my comments here. I haven’t covered nearly all of them, but these books are clearly at the center of Marvel’s publishing line given the success of the Iron Man films and with Thor and Captain America movies due this Summer. That focus is likely to continue in the print division judging by the big name creators attached to the titles and the Avengers film scheduled for next year. My dissatisfaction with some elements of the titles just makes me glad I’m enjoying the X-Men line so much right now. The Avengers and I aren’t really meant for each other anyway. Man, what is wrong with having the Thing in New Avengers? FF has been so tedious (Reed and his kids talking 99 percent of the time) and having Ben in a book where he can break out “clobberin’ time” is well, well worth it. 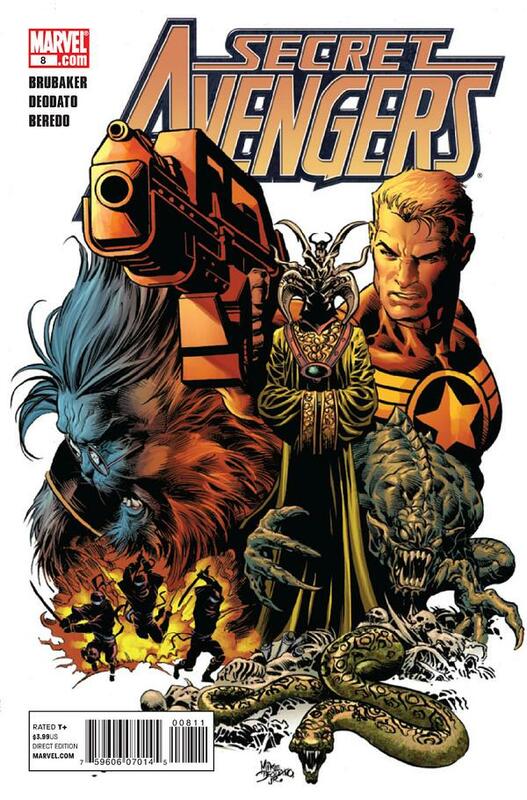 Also, The Thing should have been a “real” Avengers team YEARS ago! Avenger, it just wasn’t something I was crazy about. I’d rather see a character that’s in limbo used in favor of a character from another team. and Spider-Man being on two Avengers teams.